This piece is from Carl Sandburg’s Chicago Poems, and after the lovely afternoon I had yesterday with family, music, poetry on the sidewalk, singing and just enjoying the fresh air together, this seemed the right poem for a Sunday afternoon. Unfortunately I didn’t get to upload it this afternoon so it’s coming to you a bit late. But there is still next Sunday or any day you can gather together some people you care about and celebrate life. Whatever you may have been celebrating this weekend, I hope you were able to revel in the joy of being alive with great abandon, even if that meant napping with enthusiasm. Embrace what is good and then for all of our sake, pass it on. I read an article earlier this week about the Top Five Regrets of the Dying. My favorite three are the lack of courage to be oneself, working too hard and not allowing yourself to be happy. It reminds me of a quote that I cannot find right now. Maybe you have heard it. A big business man once said that when he was gone the one thing his children would likely never say about him was, “God, I wish Dad had worked away from home more.” I’ve probably butchered the quote, but you get the idea. Here is Sandburg’s take on it and how it related to my Saturday. A couple of these images were pinched from right here. Nice selection after the time y’all shared. I like that you put the video of them playing the guitar and singing in this video as well. Thanks, Stephen! Yes, it was a different cut than what I used yesterday. We actually had a lot of film to edit through, and I just couldn’t resist using the clip of Micah dancing in front of the camera at the end, since I had to cut it out yesterday. 🙂 I’m glad you liked my weaving the two together. I’m really enjoying this project. I’d like to start on number nine, but dang, I’m tired. I wanted to stop by and see what you were doing for National Poetry Month. And to thank you stopping by my blog and commenting on my poems. 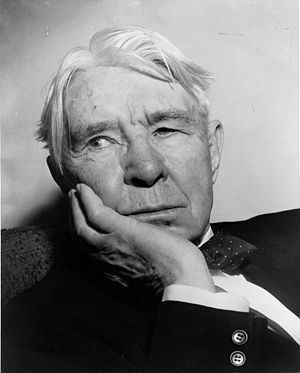 While I haven’t seen any of your poetry yet, I did enjoy the Carl Sandburg poem. I will be back to listen to other readings. That’s the truth, Molly! I agree.